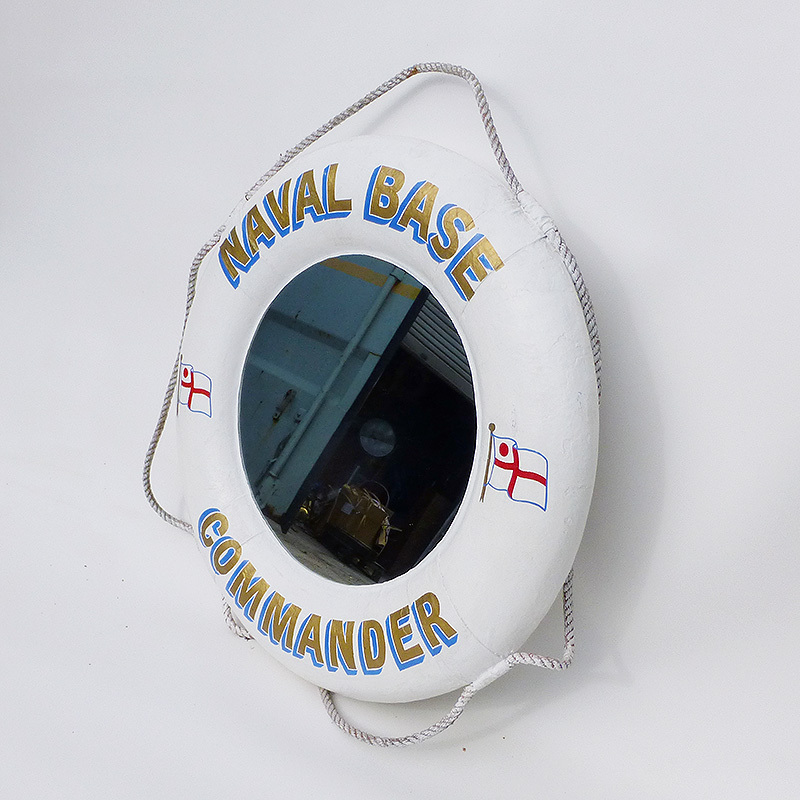 'NAVAL BASE COMMANDER' Life-Ring Mirror. 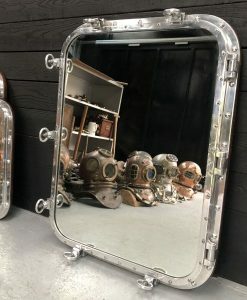 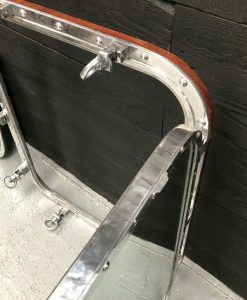 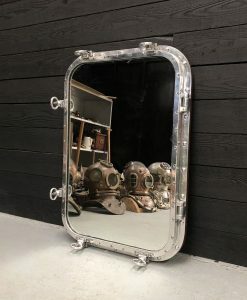 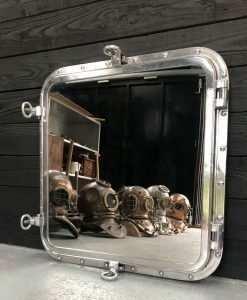 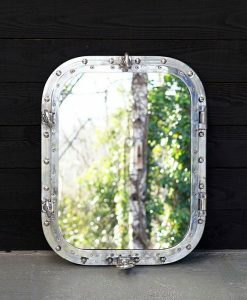 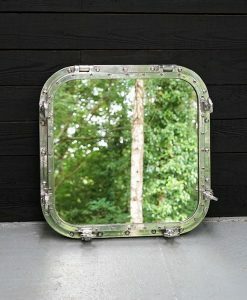 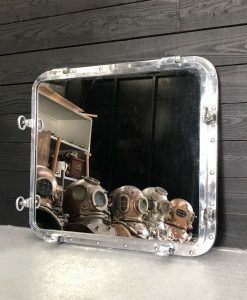 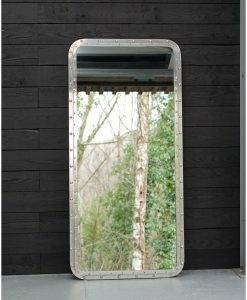 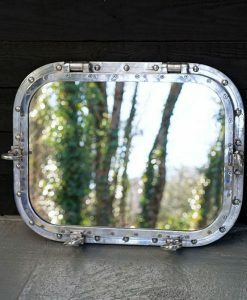 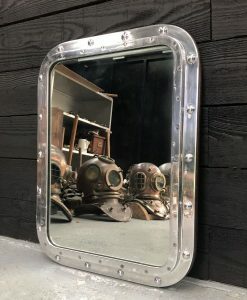 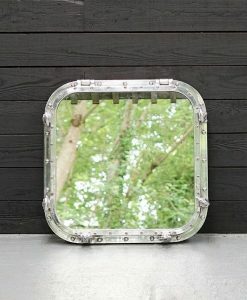 This life-ring bathroom mirror was designed to replicate the nicest life-rings we come across, the white life-rings of the Royal Navy. 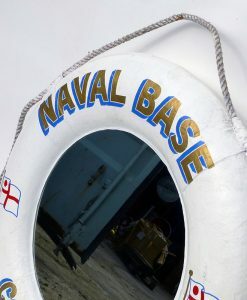 The originals are very hard to come by because they are very rarely released by the government, they normally end up being passed onto the either the next ship of the name or to their name-sakes associations. 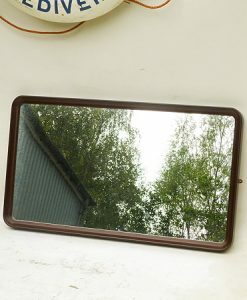 I have sold a few originals over the years and always easily obtained the asking price of at least £100 each. 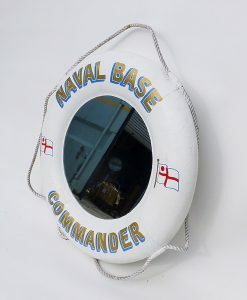 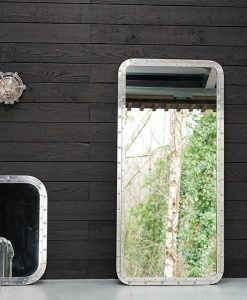 I had the idea of hanging a white Navy life-ring over a bathroom mirror and was very pleased with the result. 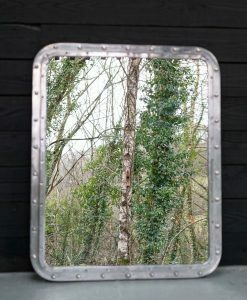 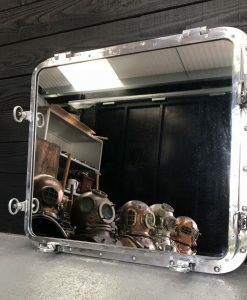 Guests and customers all seem to like my bathroom mirror so we replicated the few original life-rings we have, using the finest painter we knew and also asked him to mount a mirror into it. 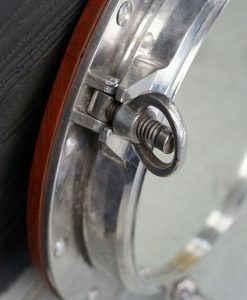 As you can see a really high quality job has been done. 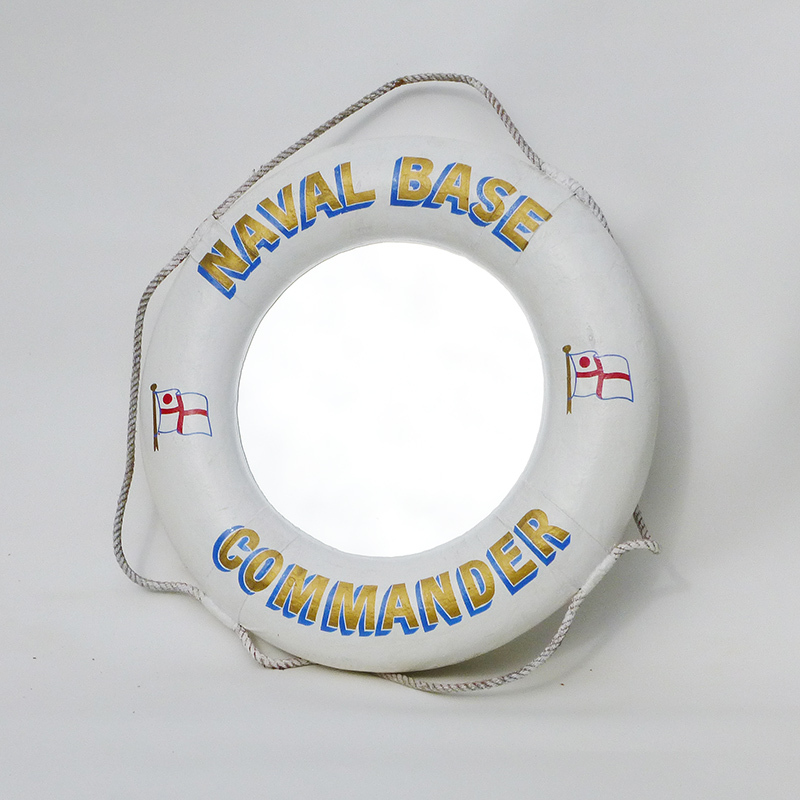 The life-ring has numerous layers of white, water-proof, paint and the letters have been painted on using very high quality gold and colour paints giving strong bold colour and definition for many years to come. 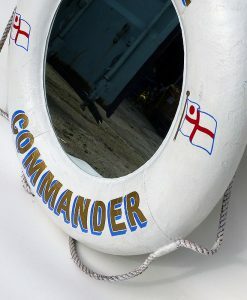 The text on the various life-rings have been painted on with the same care and attention to detail as would have gone it to the making of the Royal Naval original. 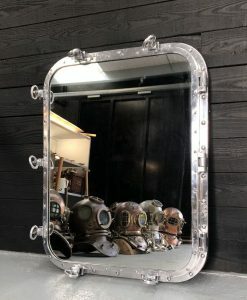 The life-ring bathroom mirror for sale here is a replica of the life-rings used during official ceremonies. 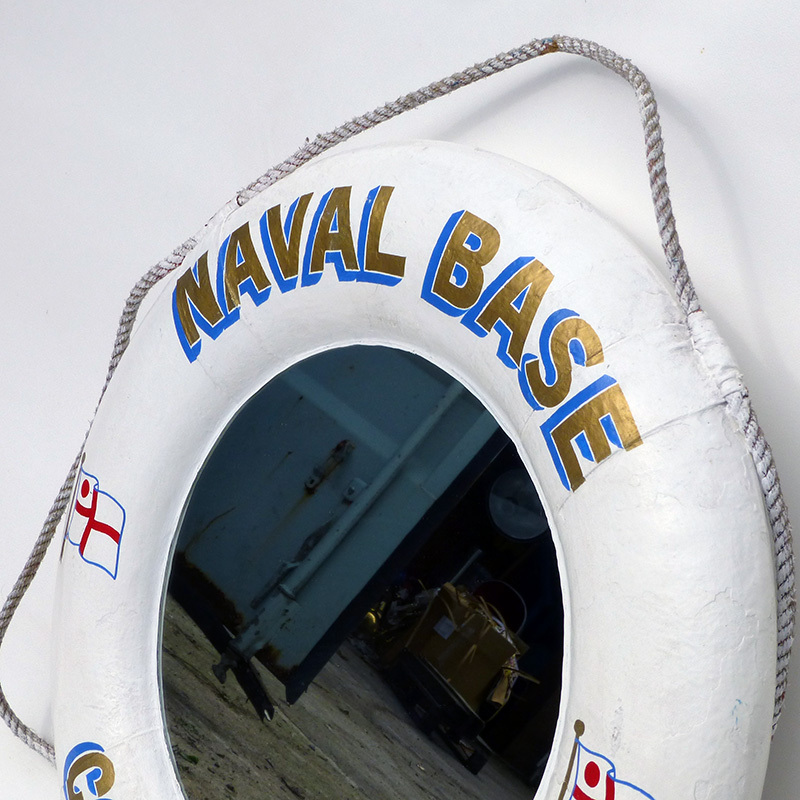 This life-ring bathroom mirror was designed to replicate the nicest life-rings we come across, the white life-rings of the Royal Navy. 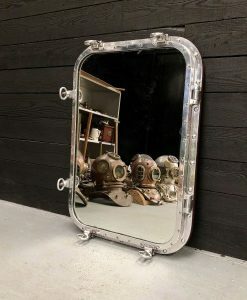 The originals are very hard to come by because they are very rarely released by the government, they normally end up being passed onto the either the next ship of the name or to their name-sakes associations. 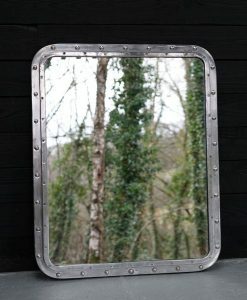 I have sold a few originals over the years and always easily obtained the asking price of at least £100 each. 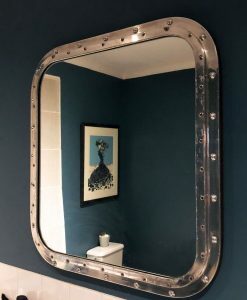 I had the idea of hanging a white Navy life-ring over a bathroom mirror and was very pleased with the result. 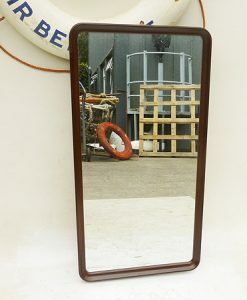 Guests and customers all seem to like my bathroom mirror so we replicated the few original life-rings we have, using the finest painter we knew and also asked him to mount a mirror into it. 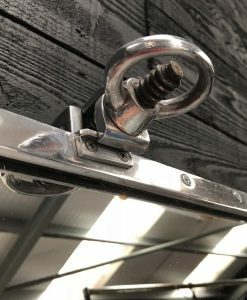 As you can see a really high quality job has been done. 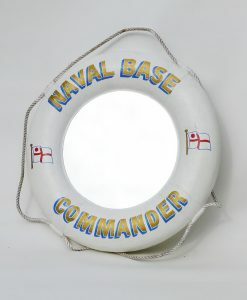 The life-ring has numerous layers of white, water-proof, paint and the letters have been painted on using very high quality gold and colour paints giving strong bold colour and definition for many years to come. 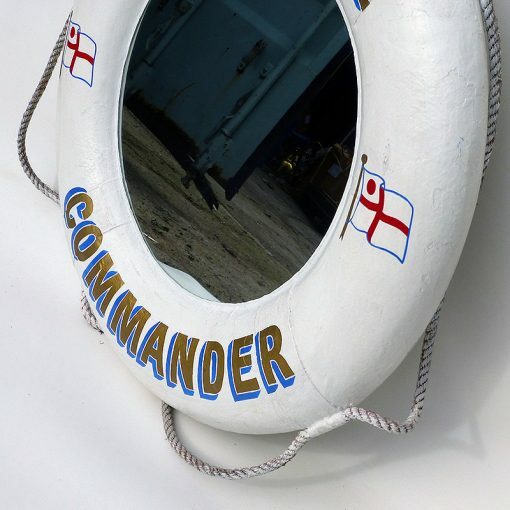 The text on the various life-rings have been painted on with the same care and attention to detail as would have gone it to the making of the Royal Naval original. 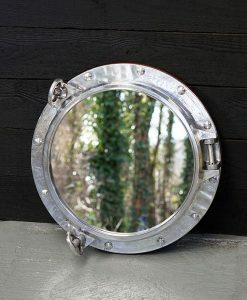 The life-ring bathroom mirror for sale here is a replica of the life-rings used during official ceremonies. In the photo below you can see a photo of an original Royal Navy life-ring in my bathroom and the original that this one is a replica of.